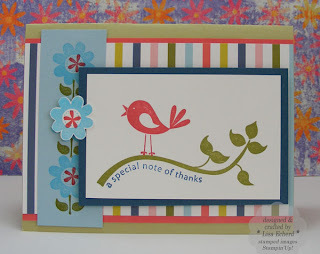 An easy thank you card using the Cheap Talk stamp set and some American Crafts paper from my stash. I've had this paper a long time and I love how it coordinates with Stampin' Up! Earth Elements colors. Ingredients: Stamps: Cheep Talk by SU!